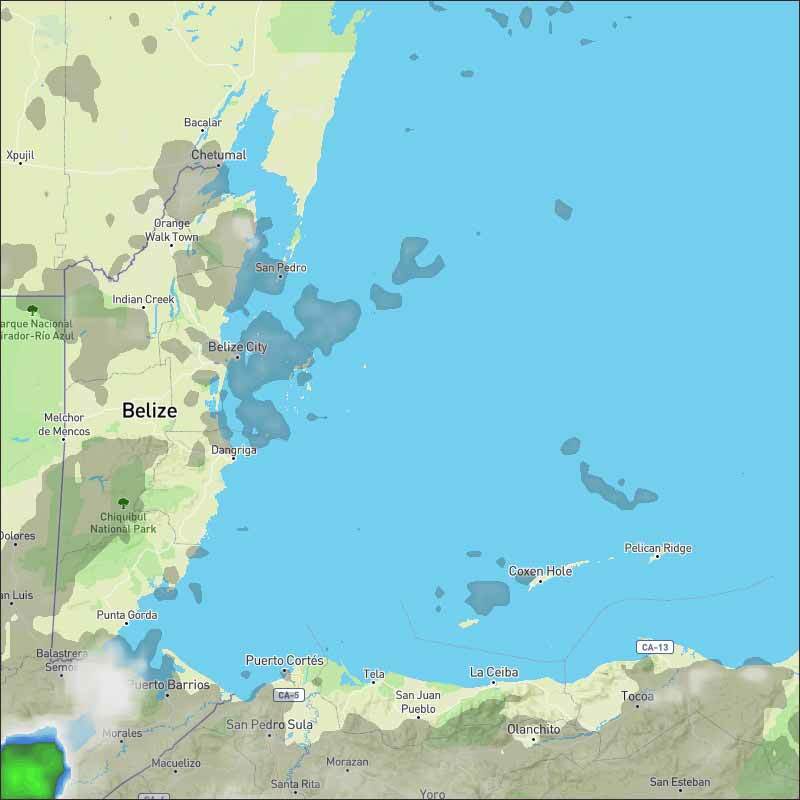 Belize NMS: Generally fair weather will prevail over the area. 24-hour forecast: Sunny with a few cloudy spells today and partly cloudy tonight. Showers or thunderstorms will be generally isolated and mostly over central and northern areas this morning, elsewhere, mainly fair weather with little or no rainfall is expected. General Outlook: A few showers and isolated thunderstorms are expected mostly over central and northern areas Monday morning and over the south Monday night. Mainly fair weather with little or no rainfall is expected elsewhere. 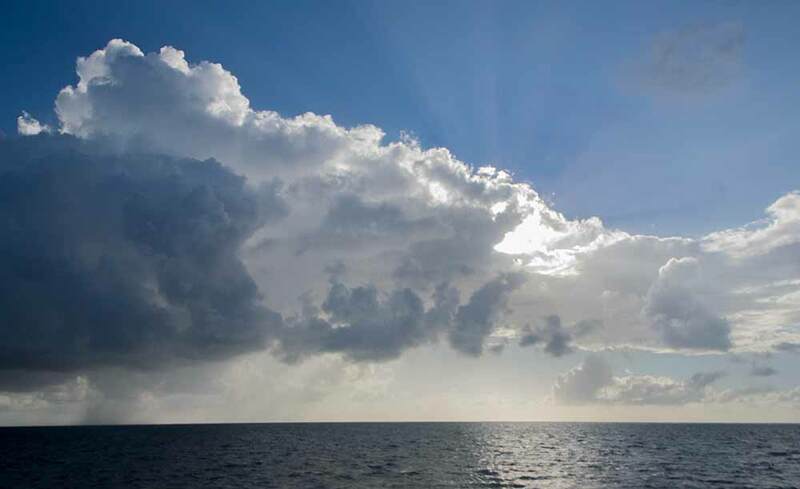 Today E-NE 5-15 kts Light Chop-Choppy 2-4 ft ISOLATED SHOWERS OR ISOLATED THUNDERSTORMS. Tonight E-NE 5-10 kts Light Chop-Choppy 2-4 ft A FEW SHOWERS OR ISOLATED THUNDERSTORMS MAINLY OVER THE SOUTH. Tomorrow E-NE 5-15 kts Light Chop-Choppy 2-4 ft A FEW SHOWERS AND ISOLATED THUNDERSTORMS, DECREASING. Outlook E-NE 5-15 kts Light Chop-Choppy 2-4 ft A FEW SHOWERS AND ISOLATED THUNDERSTORMS SOUTHERN AREAS. The East Pacific monsoon trough extends eastward along 09N from Costa Rica to northern Colombia near 76W. Convection associated with a tropical wave along 83W interacting with the monsoon trough is described above in the tropical waves section. Farther east, Total Precipitable Water imagery shows high moisture content over northeastern Venezuela and the extreme southeastern Caribbean. Weak upper-level diffluence is noted along the northern coast of Venezuela. Scattered showers are occurring along the northern coast of Venezuela extending to 13N, including Trinidad and the southern Windward Islands. The remainder of the Caribbean is experiencing relatively quiet weather. Expect enhanced shower and thunderstorm activity to persist over the southeast Caribbean, southern Windward Islands, Trinidad and northern Venezuela into the middle of next week. Fresh to strong winds are expected to pulse over the Windward Passage, south of Hispaniola, and near the coast of Colombia through the next few days. Moderate to fresh trades will prevail elsewhere through Tue night. On Ambergris Caye this morning the sea around our barrier reef is calm and the wind is from the East at 5 mph. Today's expected high is 88 f.
We should be having fine weather, there is very little cloud around, there is significant sunshine down south, but there is a blanket of relatively thin mid level cloud crossing central Belize at present, and with the straggly lines of Caribbean cloud, are causing the odd, isolated rain shower, yet the Caribbean sea is relatively clear of cloud. Looks like today will have some sunshine, but the Caribbean cloud is thickening, there could be more scattered showers, but less than recently.